finally i'm back again for doing this blogging thingy. i made up all of this new look for my blog. and it's been like a decade i haven't post anything new since last May--well forgive me. not gonna speak much. so here we go. 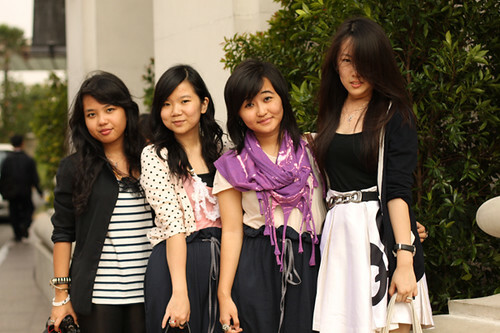 since Vheney is back to town, we (me, michelle, nora, and ayu) arranged some meet up to spared some awesome time with her. 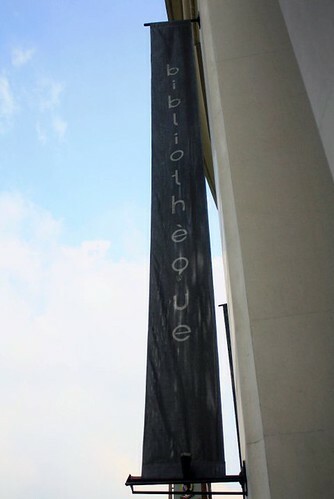 so we had a gorgeous lunch at bibliothèque and took bunch of photos out there. 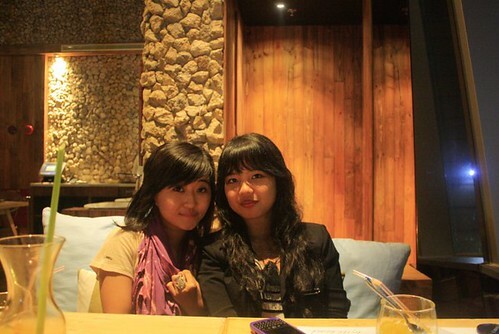 this photos are taken by Vheney's Canon 1000D. thanks a bunch Vhen for all the gorgeous picture which u take. nora and me wearing the same drawstring pants. 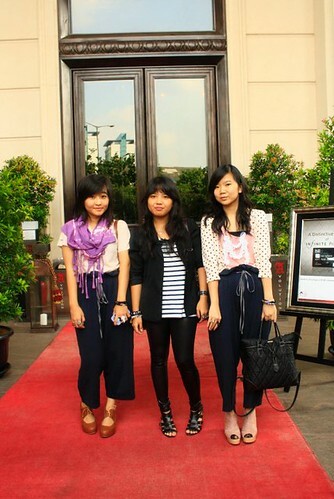 then we continued to watch SATC 2 at Plaza Indonesia and met Piping. she can't join us for lunch because of the goddamn traffic. 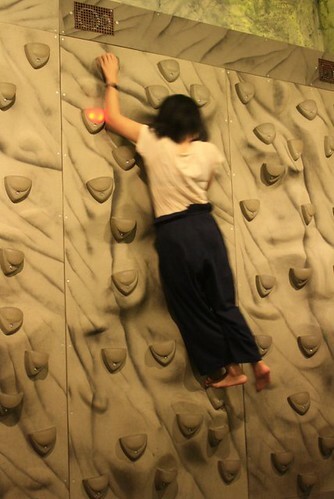 so, anyway, Piping and i tried some walk climbing at Miniapolis at Plaza Indonesia Extension. that walk climbing thingy is really GOOD. i mean it ! 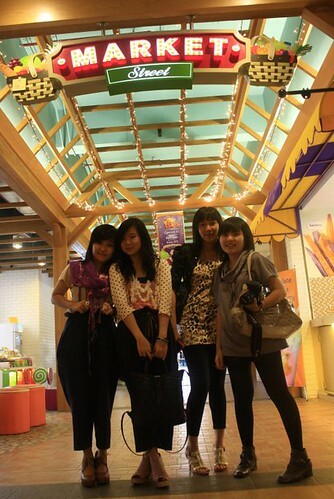 vheney, nora and i then end up the meet up at the by the Beach EX, Plaza Indonesia. 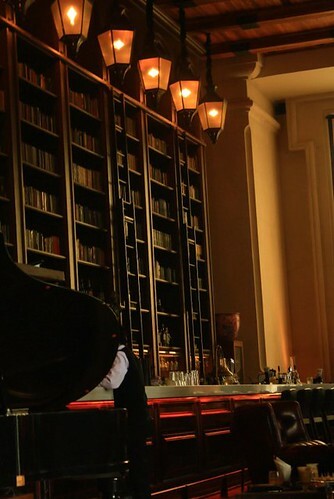 the place is comfy, warm, and cozy, and warm again. hahaha. "Don't be dismayed at good-byes. A farewell is necessary before you can meet again. And meeting again, after moments or lifetimes, is certain for those who are friends." aww this is such a sweet post ri! long time no post ya kak! and i really glad that u r baack! 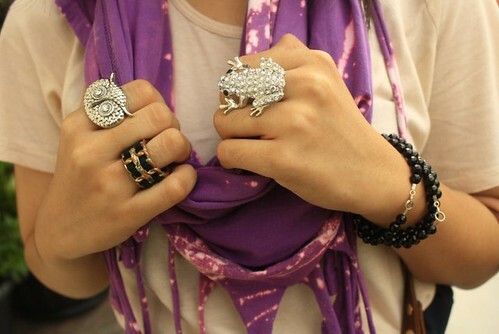 u and ur friends look lovely... i really love that frog ring... ~ do u noe where i can get one at! wanna exchange link and follow me?? itu g ga ada prom tau, cuman graduation doank! hahaha. sama aja nih sekolah kita -_-"
ohh pantesan bisa kembaran, kirain ga sengaja! hahaha. You always have the best outfits! each of you look so stylish ri ! i really wish i could join the lunch on that day. big sorry from me and cross my fingers we'll meet up again the next time i get back! loving what you wore on that day! very chic! care to join my giveaway? and i really like your blog! 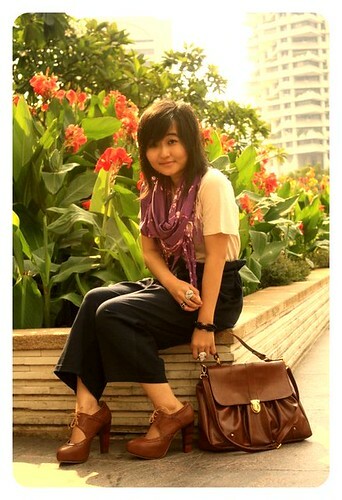 you look pretty kak Riati..love your bag your shoes and your blog..
super love your outfit c riati!!!! and those rings and shawl are just making my eyes couldn't wink! aduh demen abis loh sama sepatu kau, dear! bagus banget. anyway, nice blog!! wanna join a blogger meet up? nice post ti! kapan2 kita jalan bareng lagi yah. 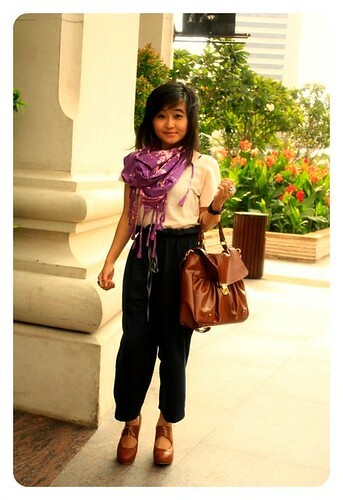 very cute outfit, really love your bag, it's cute..
what a cute photo shoot! the second pictures is so pretty!! i love your bracelets and that scarf. i just got a Persona bracelet but still haven't fallen in love with a new scarf this summer. Any suggestions? ?